It`s a Kenmore with Absolute Stabilization Technology (runs whisper quiet). You`ll have a hard time finding a better looking or performing washer, than this one. Phone-calls only please (250-327-3838). 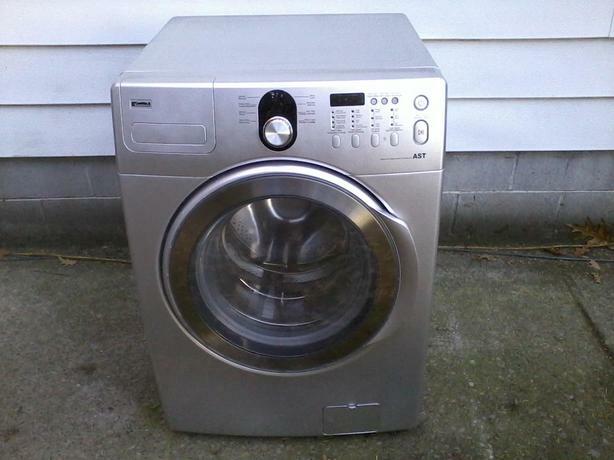 Has a large capacity and 1200 RPM spin cycle, so the laundry comes out barely damp. No foul smells or mold either. $ 350 if picked-up. Add $ 15 if you`d like it dropped-off in a driveway, but only in Nanaimo.